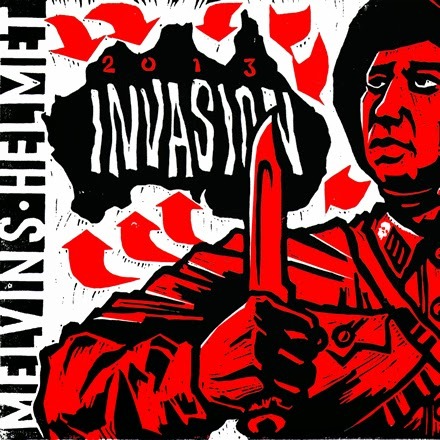 If It's Too Loud...: Helmet - "Anything and Everything"
To mark the Australian co-headlining tour of Helmet and the Melvins (WHY NO US DATES!!?!?!?! ), the two bands have released a split 7", and you can hear the Helmet side, "Anything and Everything" right now. The song is damn good, probably their best work of this century. Paige Hamilton hasn't slowed a bit even after multiple decades in the biz and this stands right up with their earlier work. The song slows down a bit too much right in the middle, but the beginning and the absurd firecracker of an end more than makes up for that. 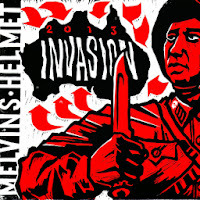 As always, check out Helmet's website here, and see the dates for the Helmet/Melvins tour below. Damn you, Australia. Everything without exception at this moment about DOT . The melody is damn great, likely their best work of this century. Paige Hamilton hasn't hindered a touch even after numerous decades in the biz and this stands straight up with their prior work. The tune backs off a lot right in the center, however the starting and the ridiculous sparkler of an end more than compensates for that. Thanks! !